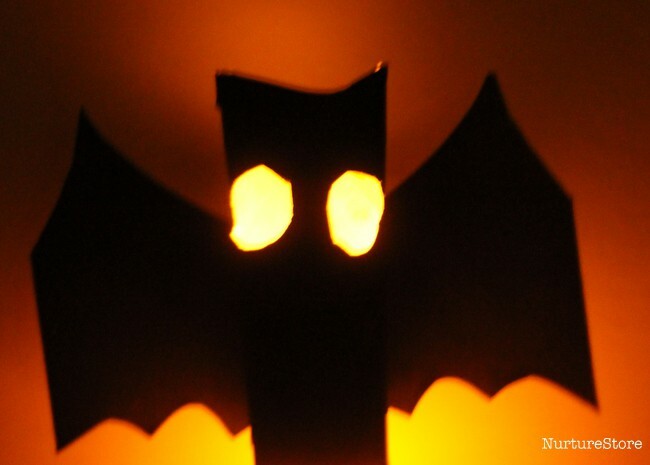 We originally made a set of owl lanterns for the Lantern Parade at the Just So Festival. 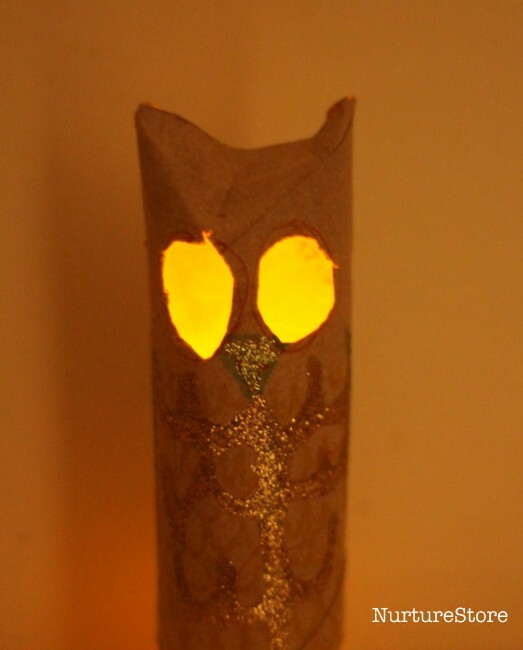 The design was inspired by the gorgeous owl lanterns made by Kerstin over at Minidrops. Do hop over to take a look at hers because they are lovely and she uses a great technique to give the owl eyes more features. For my girls though, we simplified the design, and added in some Halloween bats and cats. 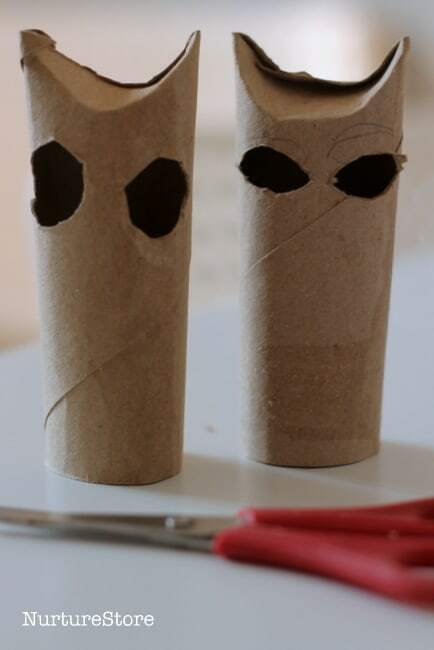 Fold down the top of the tube to make some ears. 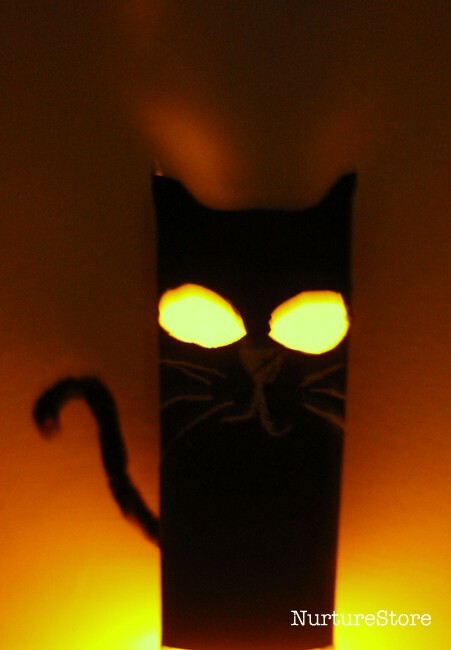 And cut out some eyes, using scissors or a craft knife. My girls managed this by themselves, but with younger children you might prefer to have them draw on the eye shapes, and then you can do the cutting out. 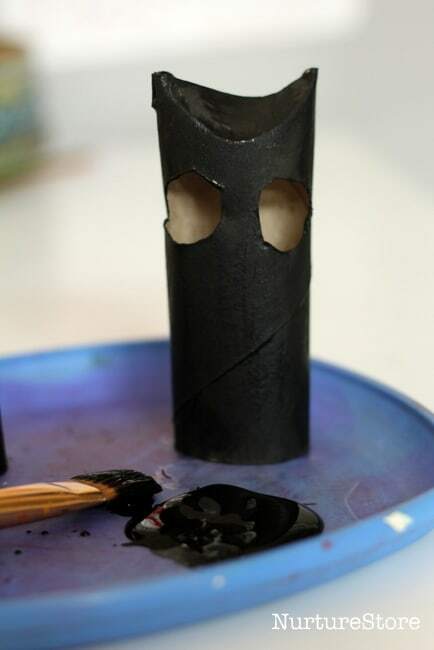 For the bats and cats, paint the tube black. 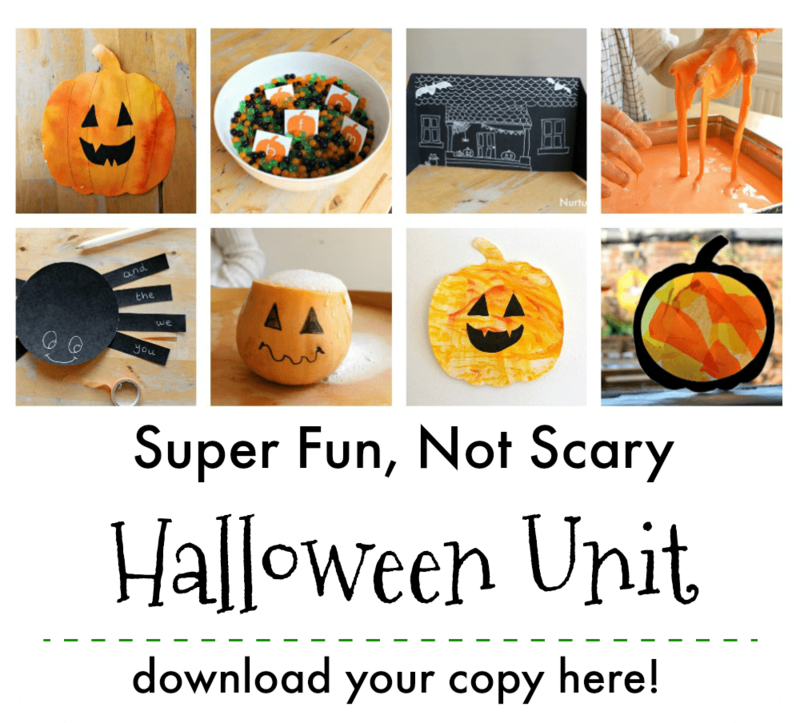 You could use water-based craft /tempera paint, acrylic paint, or even chalkboard paint. 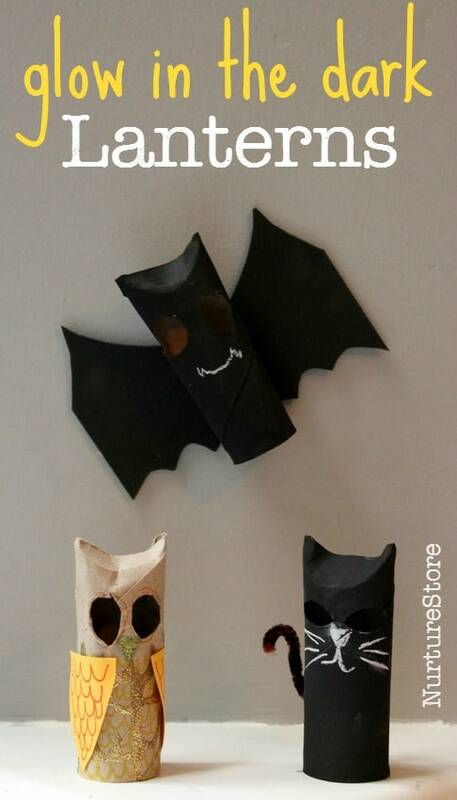 For the bat lantern, cut out some wings from black card or craft foam, and use tape, glue or staples to fix them on to the back of the paper tube. 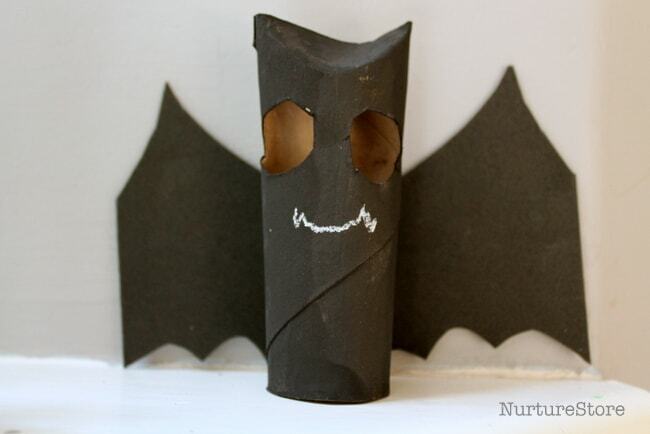 Use chalk to add a mouth – maybe with some fangs! 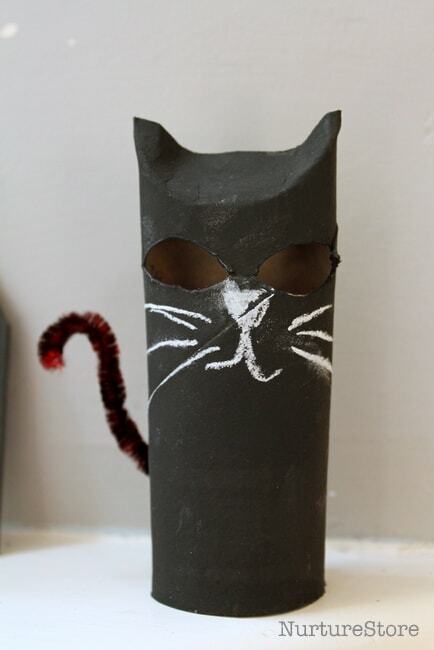 For the cat, a pipe cleaner poked into the side of the tube makes a good tail, and again you can use chalk to add a nose, mouth and whiskers. 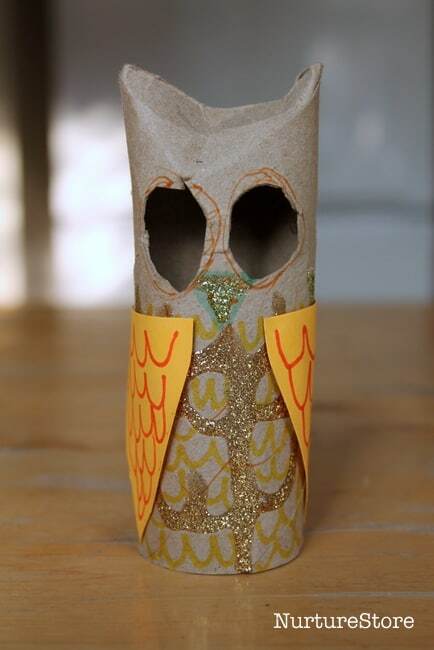 We used marker pens and glitter glue to decorate our owl lanterns, adding wings by gluing on two pieces of card. **We used LED tea light candles (available from Amazon) to light up our lanterns and make them glow in the dark. It just so happens that the tea lights were the prefect size to fit our toilet rolls. If necessary, you could cut the back of your lantern and insert an extra piece of card to make it fit your candle, or instead of toilet paper rolls, use a piece of card which you can roll to the exact size of your candles. My girls love the lanterns so much! A row of them in the window look fantastic, giving the right mix of spooky and cool. Hi Birgit. Did you see I said to use LED candles? They are battery-powered – no flames. You’re completely correct that you would not want to use burning candles.